Welcome to the Vapor Puffs guide on how to use the Aerotank Mega atomizer. We’ll start the guide off with a brief introduction to the Aerotank Mega and it’s parts, and then move onto the guide showing you how to use it. What Is The Aerotank Mega? Made as an upgrade to Kanger’s original Aerotank, the Aerotank Mega is an adjustable airflow atomizer that is seen as easier to use than it’s predecessors. Let’s take a look at the parts. Mouthpiece – This is where your mouth will go. It can be removed by twisting and pulling from the top, in order to be replaced with another or cleaned. 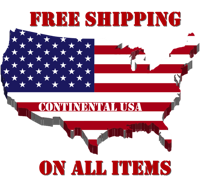 eLiquid Tank – This glass part is where your eLiquid will be held. It can be replaced with the stainless steel tank that comes in the box (and is pictured above). Coil Unit – Hidden within the tank is the Coil Unit. It can be accessed by removing the Threading Connection and replaced with other compatible Coil Units. It contains the wicks and heating element that will vaporize the eLiquid. Airflow Ring – A ring with small dents all around it and one specific hole, this can be turned in order to adjust the amount of air that goes through the atomizer. Threading Connection – The Threading Connection is the small part sticking out from the bottom of the Aerotank Mega. It’s a 510 threading that will be used to connect to a battery. Grab the atomizer right on the ring between the Threading Connection and Airflow ring and twist counter-clockwise in order to open the tank and reveal the Coil Unit. When dripping the eLiquid into the tank, make sure not to drip into the center hole as it leads to the mouthpiece. Instead, drip into the four smaller holes that are closer to the walls of the tank. Once you’ve finished filling the tank, reattach the base by lining up the Coil Unit with the center tube and twist counter-clockwise. By twisting the Airflow Ring you can change the amount of air that flows through the atomizer. You can do this at any time while using the Aerotank Mega and you can see how much air you’re allowing into it by peeking into the small hole on the ring. While twisting it, you should notice the airflow trench that is behind the ring expand as you twist it clockwise, meaning more air will go through the atomizer. The Airflow setting is entirely based on personal preference. Line up the 510 Threading Connection to a battery that also uses 510 threading. Once connected, turn on the battery and begin vaping. Everything should come easily from here. This doesn’t have to be done after every use, but eventually you will notice that the Atomizer might not be giving off a taste as strong as before or just might not be heating up enough. When it reaches that point, it’s time to change the coil. Remove the base of the Aerotank Mega the same way you did before in order to pour in eLiquid. Now, grab onto the small tube that is the coil unit and twist counter-clockwise. It should easily come off. 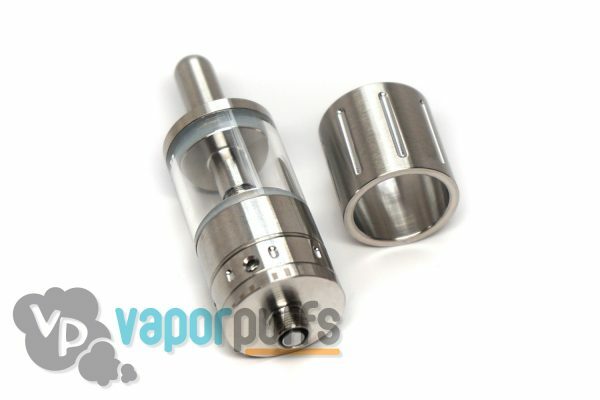 The Aerotank Mega comes with an extra Coil Unit in the box, so take that Coil Unit and place it in the old unit’s spot by twisting it counter-clockwise against the base. Once it’s firmly attached, you’re good to go. Thanks For Reading Our Guide On How To Use The Aerotank Mega! We hope we’ve helped you get it all figured out.